1667: Robert Hooke invents the tin-can-on-a-string telephone, or “lover’s telephone” because people were very fond of tin cans back in the seventeenth century. Sound was transmitted acoustically along a taut string across a distance of a few dozen feet. Considering the deplorable hygiene of the time, putting more distance between yourself and the person you were talking to was essentially as ground-breaking as the invention of the wheel. 1816: The first working telegraph was created by Francis Ronalds, inventor and well-known epileptic sword-swallower. This telegraph used static electricity and could only be used until the receiving party ran out of balloons. 1832: The first electromagnetic telegraph is created by Pavel Schilling because EVERYTHING is better with magnets. 1837: Samuel Morse invents the Morse Code which would eventually replace Bushido in the United States. 1839: The first commercial telegraph ran for thirteen miles along England’s Great Western Railway. This was a victory for all those who wanted news of what was happening thirteen miles away and couldn’t wait half an hour for the next train to convey it. 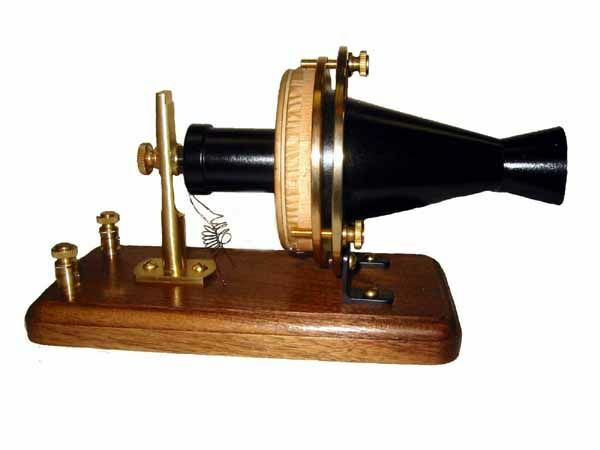 1860: Johann Philipp Reis develops prototype for the first telephone in Friedrichsdorf, Germany. When he attempts to sell his idea to investors, he is rejected. He attributes the rejection to a lack of foresight and the fact that he had an eye infection that was stomach-turning. 1877: The first telephone exchange is created in Boston allowing calls to become misdirected for the first time. 1889: The payphone is patented, causing immediate interest amongst investors and drug pushers. 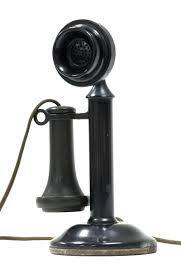 1927: The first transatlantic call is made by W. S. Gifford of AT&T. The call consisted of suggestive questions and heavy breathing that pretty much creeped everyone out. 1973: The first cell phone call is made and the signal is immediately dropped. 1992: The first text message was sent by Neil Papworth, starting a trend for people too cowardly to break up with their boy or girlfriends over the phone or in person. 1992: First smartphone invented. Actually, some phones were smart before that, but they were knew enough to not draw attention to it. 2014: Slim phones go on sale and are soon bouncing around in the dryers of absent-minded consumers everywhere.